Connecting our favorite artists and clients. I started this years sketchbook with the grand plan to use a much bigger sketchbook. 9x11". I thought it would give me the chance to experiment with new techniques and I would have to loosen up more to fit a painting in more space in 30 minutes. It did do those things.. But I felt stressed and that isn't the point of this project at all. After a month and a half I finally gave myself permission to go back to a smaller book, 5x8". I love to work with artists outside of our agency too! I offer one-on-one consulting sessions and business basics roundtables. You can sign up for our Advice for Artists Newsletter for A4A news and tidbits. 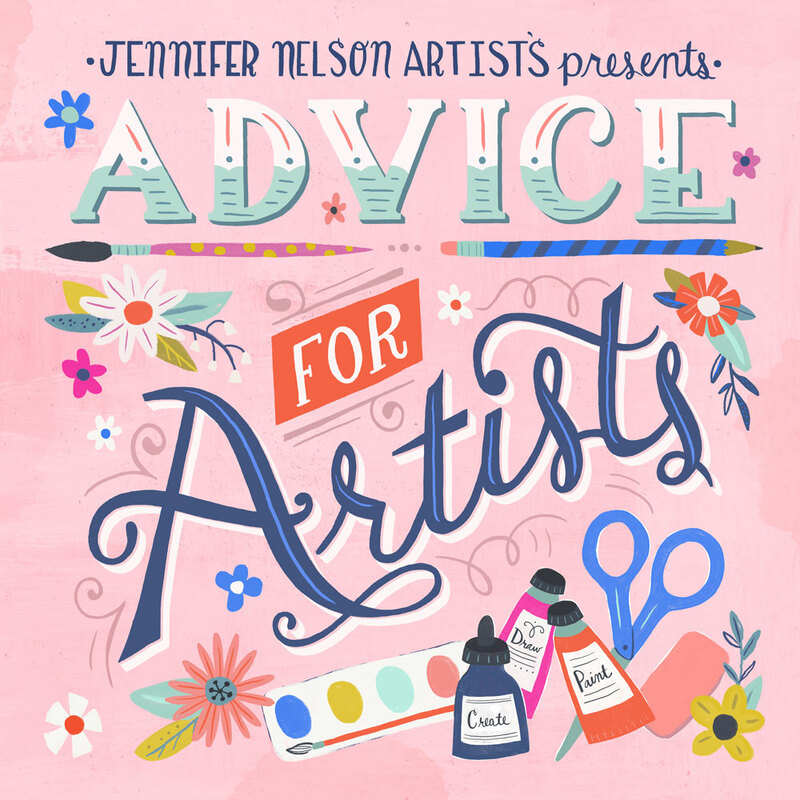 And, finally, please join our very active Advice for Artists Facebook group too! Contact Us | Our Policies © 2019 Jennifer Nelson Artists, Inc.